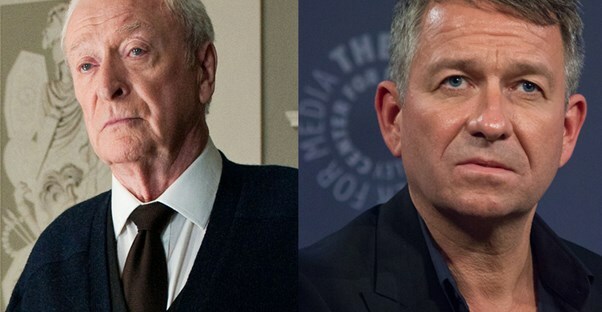 Michael Caine vs. Sean Pertwee: Who's the Best Alfred? Alfred Pennyworth is one of the most important characters in the Batman comic, besides Batman himself. Alfred was the butler at Wayne Manor, who then grew to be Bruce Wayne’s best friend. Many actors have taken this character several different ways, and two of the most recent portrayals are by Michael Caine in “Batman Begins,” “The Dark Knight,” and, “The Dark Knight Rises,” and Sean Pertwee in the television series, “Gotham.” Here's a comparison of their unique takes on Alfred. In Christopher Nolan’s Batman series, Michael Caine portrays Alfred as a more fatherly figure. He’s loyal, gentle, protective, and is also Bruce’s best friend. Even though Bruce’s parents are gone, Alfred makes life just a little bit easier on him by being there for him every step of the way. He also helps him track down information on some of the villains, including Bane! In this clip, Alfred is trying to convince Bruce to find love again, even if the woman he’s suggesting is a jewelry thief. Alfred just wants Bruce to be happy, so he tells all in this scene. Pertwee’s Alfred seems like he is more of a military general than a butler, but we can definitely still see the value in this “tough love” approach to Alfred. Alfred isn’t afraid to call Bruce Wayne out on his mistakes, but is also upfront about congratulating him on his successes and loving him as a parent-like figure. This a peek into the relationship between Bruce and Alfred over breakfast one morning. Pertwee’s Alfred does not display the same amicable mannerisms, but he’s not wrong in his feelings towards Bruce’s actions. Even though Michael Caine and Sean Pertwee portray this beloved character in two very different ways, both of them demonstrate the same essence and importance of Alfred Pennyworth's role in the Batman comics as Bruce’s best friend. Caine opts for a gentle approach, while Pertwee adopts a more authoritative persona, and these differences have caused fans to choose sides on which portrayal is superior. Ultimately, both characters have their merits and their drawbacks, so go watch both the movies and the series to decide for yourself: who’s the better Alfred?